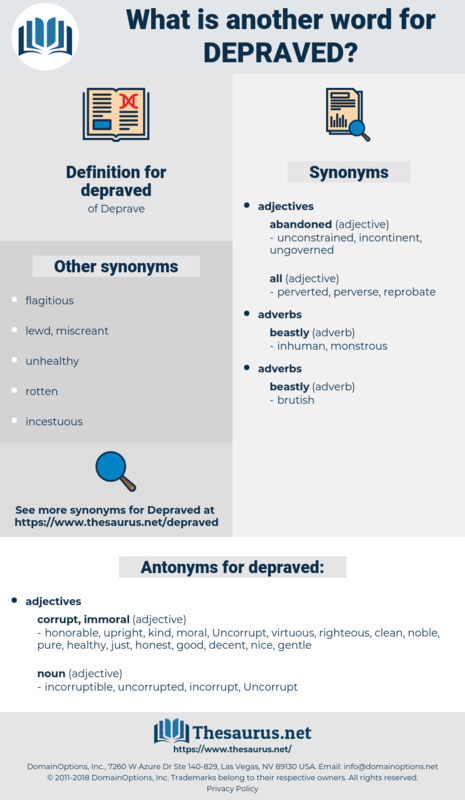 What is another word for depraved? honorable, upright, kind, moral, Uncorrupt, virtuous, righteous, clean, noble, pure, healthy, just, honest, good, decent, nice, gentle. 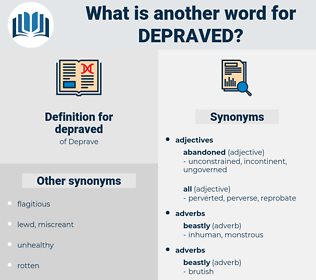 Is any man totally depraved? The character of woman had become depraved.